Sometimes I wonder if it is harder to lose those you are closest to and most connected, to wander the world with the constant longing to be with that person again, the hole inside that can’t be filled back up with anyone else. Or if it’s harder to lose the ones that you tried to connect with your entire life. The loss of hope that you held on to forever that someday things would change. I can only connect to the latter, losing my Father was losing the hope that him and I would ever get over our differences and finally have the relationship I longed for. The would have’s , the could have’s, the what if’s. That is all you are left with after you lose someone you longed for your entire life. Perhaps it’s because next week I will follow the river road back to my Father that I am thinking of this tonight, a pilgrimage I started last year to find some closure with him . I ran across this journal entry I had written this last year on his birthday- and I thought about how far I have come in this quest for answers with my Father. I woke up this morning with a nagging feeling that it was someone’s birthday- then I thought of my Dad. In all of my life I have never even remembered my Dad’s birthday. 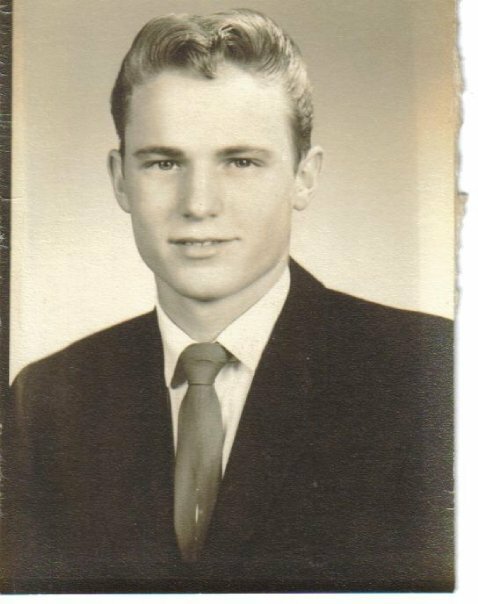 I thought to myself ” Well Dad, we sure have come along way since you passed”- and then I sort of laughed at myself- talking to a dead guy and all. I know you hear me- I know it was you this morning waking me up to tell me it is your birthday. Just like I know it was you who woke me up about two weeks ago and told me to be patient, everything is falling in to place. I don’t know how I know it’s you, I just do. We tried for 43 years to have a relationship- it took you dying for us to have one. I visited you for the first time last year holding no grudges and not expecting anything from you. I visited you at your grave site. And I left more at peace with you than ever in my life. I left knowing it wasn’t your fault, or my fault. We were two souls unable to connect. One more stubborn than the other, one more afraid than the other. I had so much love surrounding me and all I wanted back then was yours. It was like chasing after a Tiger with its tail in your hands. Whatever it was we both needed was just within reach but we could never get both hands wrapped around it. I destroyed a lot of relationships in my life by not dealing with my issues with you, I never trusted anyone’s intentions and I certainly never believed that someone could really love me. I thought being vulnerable meant I was weak, but I know now that being vulnerable is one of the strongest things you can be- and truly the only way to be loved and love someone else. You see both of us grew up missing a fundamental part of our beings( our Fathers) and then went about our lives looking for what we were missing in every place except the only place we could find it, within ourselves. I found myself now Dad, and when I found me, I found you. I found the link that was missing all these years in our relationship. I found vulnerability, the strength to say I was scared and I didn’t know the answer, the power to say I ” don’t know”….I lost a lot in my life before I found me. But the crazy thing is, it was the only way I could have done it. SO , Happy Birthday Dad. It’s okay for me to tell you that I miss you- I wish we would have been close, I will remember you in all that was lost but is now found. I will see you again next summer, on the green of the grass where they laid you to rest. Just me and you. Until then- I’m listening. And I hear you. See you next week Dad. I have so many fond memories of your Dad. I had the biggest crush on him when I was a little girl. I would just sit and stare at all his handsomeness. He was a quiet soul, at least that is my take away. But he surely loved the land and his pigs. I remember being at the farm in Iowa – again I was a very little girl and we rode in his vehicle that had menure in it – oh my goodness that was the worse smell in the world. But the memory of being at that farm is so vivid in my memory. At this same time that I had this crush on your Dad, I had the same crush on Glen Campbell. Something about your Dad and Glen, just grapped my heart. What can I say, I was 6. Love you!! My dad was often told my people that he looked like Glen Campbell and Robert Redford. He was a handsome man indeed. Thank you for the story’s and for letting me see him through someone else’s eyes. That is a nice piece. Something about that particular father-daughter relationship (mid-western farmer’s daughter and her dad), is so hard to define. I am living it. I asked an older, wiser friend of mine once – “At what age do we stop being crushed by our fathers’ disappointment – when do we stop trying to please our fathers?” She very seriously said – “When they die. And not even really then.” Not very comforting words, but I suppose we can take solace in that we are not alone in our struggles. Daddy little girl is long gone, and she never quite made it to that place she was looking for. Thanks again for writing this. Sadly so true, once my Father died I had to decide to either forgive him or try to understand him. When he was alive I spent far too much time just trying to figure out our relationship or lack thereof . I hope you find some answers and peace with your father. Amazing how much effect fathers have on daughters. Glad you were able to find some closure / peace after so long.